The hero of my childhood became the TV pal of my middle years. 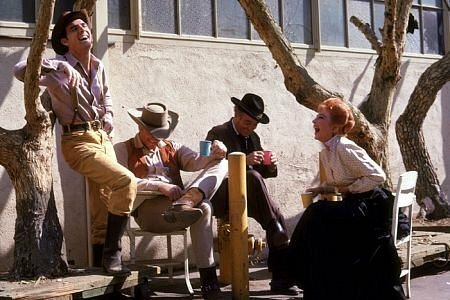 "The biggest surprise for everyone who had the good fortune to work on a few episodes of Gunsmoke in those days was Jim Arness. He was funny. I mean get-the-giggles, wrap-up-for-the-cast-and-crew, "time-out"-and-get-it-together funny. He had that wonderful ability to surprise you, make you laugh at yourself or the situations that actors often find themselves in." Did you know that Uncle Zeb is even cooler than Marshal Matt? It's true. Zebulon Macahan is one extremely cool cat and How the West Was Won breathtakingly memorable television. I find in the earliest of James Arness' screen performances a joy and an earnestness that would grow into the confident professional able to create such commanding and legendary characters as Dillon and Macahan. It is work I admire most, work that hides the work. I wanted to take this time to thank all of you for the many years of being a fan of Gunsmoke, The Thing, How the West Was Won and all the other fun projects I was lucky enough to have been allowed to be a part of. I had the privilege of working with so many great actors over the years. 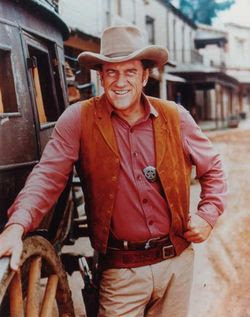 My parents never missed GUNSMOKE and it was mostly because of James Arness. It's easy to underestimate his contributions to that classic Western--but he was the glue. He made Matt Dillon a realistic hero, flawed at times, but a good man dedicated to making Dodge City a place where families could grow and feel safe. It may sound sappy, but Arness made his character believable and that's a key reason that GUNSMOKE ran for so long. 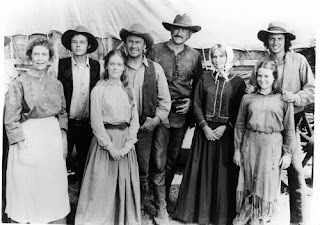 Everything I have read, or heard in the case of the commentaries on the anniversary dvd's, indicates that everyone involved in "Gunsmoke" throughout the entire 20 year run cared deeply about the show, its fans and its legacy. Yes, Rick, James Arness made Matt Dillon real for us, and we will always have him. Thanks Jim, for all those wonderful westerns. Adios Amigo.